It is the second summons by the NIA to Naeem. Earlier, in the first summons, the premier investigating agency had asked him to appear for questioning at its headquarters in Delhi on April 9. SRI NAGAR: The National Investigation Agency (NIA) on Monday summoned hardline separatist leader Syed Ali Geelani’s son Naeem Geelani asking him to appear for questioning at the investigation agency’s headquarters at the national capital on April 22. The summons is in connection with militancy and a separatist funding case. “Naeem has been asked to appear before NIA headquarters at New Delhi at 10.30 am on April 22 for questioning,” said an NIA officer refusing to be named. It is the second summons by the NIA to Naeem. Earlier, in the first summons, the premier investigating agency had asked him to appear for questioning at its headquarters in Delhi on April 9. However, Naeem had not travelled to New Delhi on the day. Naeem, a doctor by profession, is presently posted at the JLNM hospital in Srinagar. He along with his wife and two children returned to the state from Pakistan in November 2010 after living there for about a decade. 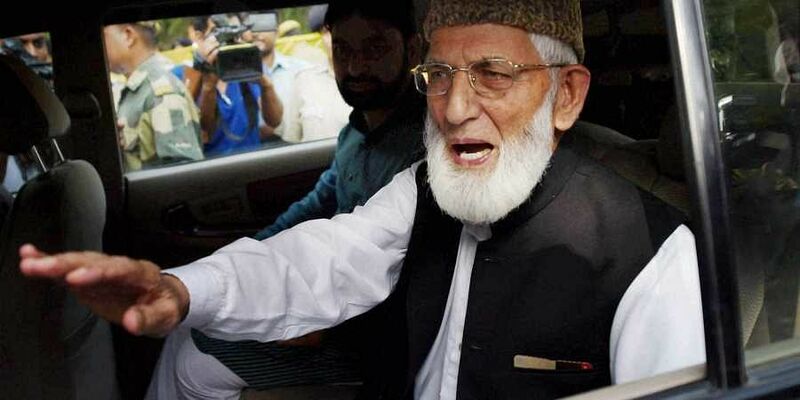 Geelani’s younger son, Naseem has already been questioned by the NIA in relation with the case. Naseem works at an agricultural university in Srinagar. Last week, senior separatist leader and cleric Mirwaiz Umar Farooq was questioned by NIA at its headquarters in the national capital. Mirwaiz had earlier defied two summons of NIA and refused to travel to Delhi citing security concerns. However, after NIA assured him of security, he travelled to New Delhi last week and was questioned by NIA officials for three days. The Centre has been cracking down on separatist leaders in the aftermath of the February 14 suicide bombing in Pulwama, carried out by Jaish-e-Mohammad (JeM).